Editor’s note: Our Ask Oregon ambassador Cari Soong recently explored the new Eugene, Cascades & Coast GeoTour. After traveling to six of the 36 sites, hiking four miles and taking dozens of photos, we asked Cari to report back about her first geocaching experience. Geocaching is a free outdoor treasure hunt game played all over the world. Using a GPS device or smartphone, players try to locate hidden containers, called caches, based on the given coordinates, small hints (found online) and their individual intuition. 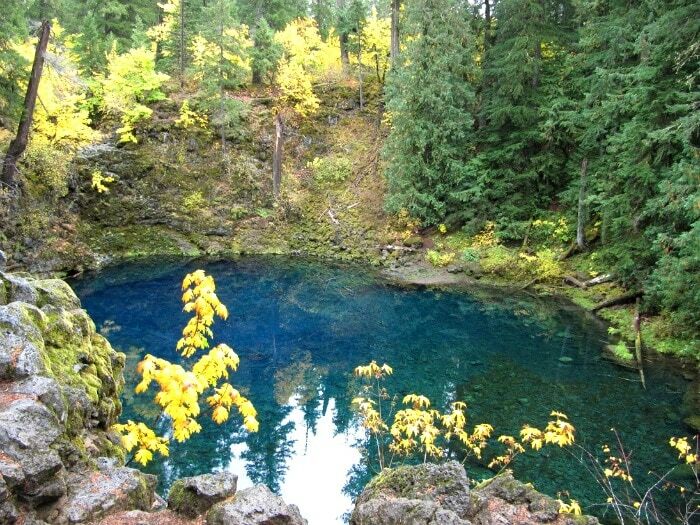 The Eugene, Cascades & Coast GeoTour – McKenzie River Edition was launched on October 20. With 36 new caches hidden along the McKenzie River corridor, geocachers are getting a self-guided tour of this magnificent area as they play the game. Geocachers that locate the codes from 24 caches will earn a geocoin that is trackable on Geocaching.com. By locating all 36, you are entered to win a trip back up the McKenzie. This is part one of a two-part challenge. Part two launches in March 2013 and will take place in the central coast region. What does a first time geocacher need to know? A first-time geocacher needs to be patient. The caches have various levels of difficulty, rated on a scale from one to five. I would recommend starting with some of the easier caches to get a feel of how they are hidden and to begin sharpening your geocaching skills. Our first stop on the GeoTour was Hendricks Bridge County Park, a 2.5 level cache. I found myself tromping around in the brush looking for something obvious rather than relying on my GPS to guide me to the proximal location. This was definitely where I experienced the learning curve of geocaching. What tips would you give to visitors who want to try the GeoTour? You need a good GPS or smartphone with the coordinates programmed. I used my Android phone to read about the cache site that we were about to visit, to get the hint and to see what others had said about the cache. But I found my Magellan handheld GPS to be more accurate in pointing me in the direction of the cache. Appropriate clothing is also very important. The GeoTour takes you through some variable conditions, from forest to lava beds. On our trek we experienced rain, wind and sunshine. Dressing in layers with a good waterproof outer layer is a good idea, especially since some of the caches are just off the beaten trail. It’s also a good idea to do some research about where you are heading; are you going to hike the 1.5 miles into the Tamolitch Pool? If so, you’ll want to have your hiking shoes and perhaps a bottle of water — and don’t forget your camera! A little preparation will make your day out on the GeoTour that much more enjoyable. Trying to decide which caches we were going to attempt. Knowing that we wanted to take our time to enjoy the destinations surrounding the cache sites, we decided to choose just six sites on our first outing so that we could also enjoy lunch at Takoda’s, a pit stop to admire the beauty of Tamolitch Pool, and a dip in Belknap Hot Springs. Searching for the geocaches was also challenging at times – but that’s the point, right? The caches rated above a two proved to be a bit harder for us novice geocachers, but they were also located in some of the best locations. The difficulty was well worth the reward. Which of the sites was your favorite? Each of the locations we visited had something unique and special about it, from walking the path around Walterville pond for the first time, to wandering around the lovely Belknap Hot Springs Resort (an overnight stay in a Belknap cabin is now on my to-do list), to running into fellow geocachers at Blue River Reservoir and sharing a laugh about our experience thus far. The McKenzie River Trail remains one of my all-time favorite places to explore. The hike to Tamolitch never gets old and offers something unique every season. This was my first time visiting the blue pool during fall and I was amazed at the beautiful colors in contrast to the blue water. To get more information on the rules and guidelines or to learn how you can participate in the challenge, visit geocaching.com or the Eugene, Cascades & Coast geocaching page. Have a outdoor adventure question for Cari? Go ask her on our Ask Oregon page. 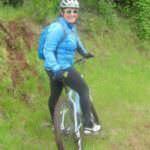 Cari Soong is the Assistant Manager of the Eugene, Cascades & Coast Adventure Center in Springfield, Oregon. When she isn't sending visitors out on adventures throughout the region, she is pursuing her passion for outdoor recreation. From bicycling and hiking to snowboarding, she is always in search of the next epic excursion. She has called Oregon home since 2004 and thrives on finding new favorites around the state. She's always eager to share her expert advice and help others plan their trips.